We understand. Every new technology brings its own myths and FinTech is no exception. Here, we will tell you the reality behind 9 common myths about prepaid cards. Debit and credit cards have been around since the 1970s. On the other hand, prepaid payment card is a newer FinTech innovation, which has become popular only in the past decade or so. As you might have guessed it, most people are still unfamiliar with this new alternative to classic bank cards. Now, it’s time to bring out the truth behind prepaid cards for your wisdom. Enjoy! 1. MYTH: You cannot get a prepaid card with a bad credit. REALITY: With a prepaid card, you aren’t able to borrow money like you could with a credit card. Instead, you’re loading your prepaid card with the funds you already have. As a result, there’s no need for us to check your credit history or proof of income. This means you can order prepaid card online easily, without annoying paperwork or standing in long bank lines. 2. MYTH: You cannot receive salary on a prepaid card. REALITY: Although many prepaid cards are connected to non-bank current accounts, they still have their own IBAN. In other words, most employers won’t have any problems accepting prepaid card for your salary payments. 3. MYTH: Prepaid cards are the same as gift cards. REALITY: Gift cards are usually sold at the grocery stores and can be loaded only once – with a fixed amount of money – usually up to 250€ at most. This means you’ll have to buy a new card over and over again. In contrast, reloadable prepaid cards have much higher limits (for verified users) and can be used as a classic debit card as long as you wish. 4. 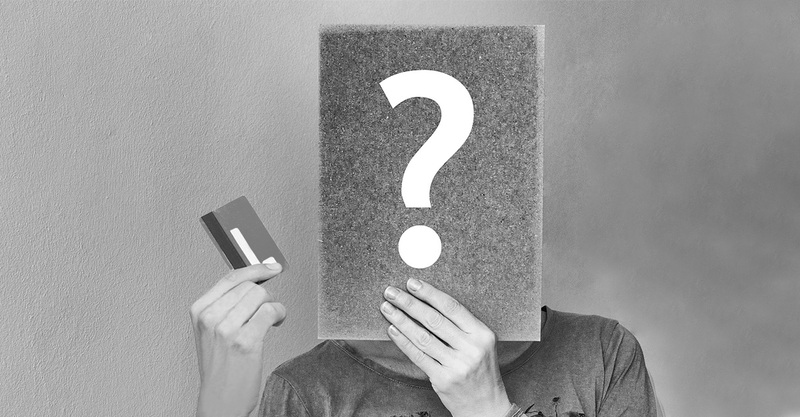 MYTH: Only people without bank accounts use prepaid cards. REALITY: Prepaid card is used by travelers, freelance specialists, wise budgeters, parents, business owners and so on – it’s suited for everyone. For all previously mentioned people, prepaid card simply serves as an easy-to-get additional account. It has almost no obligations and an innovative technology that ensures even better functionality. 5. MYTH: Prepaid cards are insecure and prone to security breaches. REALITY: Mastercard prepaid cards are secured with the same two-factor authentication (3D SecureCode) just like any bank debit Mastercard. Of course, there’s always an option to pay only in cash – possibly the least secure way of managing finances. 6. MYTH: A prepaid card can be overdrawn just like a credit card. REALITY: If your bank account has an overdraft feature, it’s easy to spend more than you have. In contrast, with prepaid card you can spend only the amount you have loaded on your card. This is especially beneficial for parents, who are looking for a prepaid card for children. 7. MYTH: You can’t use a prepaid debit card for online shopping. REALITY: Online shopping is actually one of the most popular things to do with a prepaid card. The reason is simple… Why risk your bank account, if you can shop online with a preloaded, independent prepaid card? 8. MYTH: You never know how much money you have on your card. 9. MYTH: Only a few places accept prepaid cards. REALITY: Mastercard is accepted in more than 40 million places worldwide. It’s roughly the same number for Visa. There are only a few exceptions, like car rental places and gas stations, where prepaid cards might not be accepted (it depends on the service provider). We truly hope we addressed all myths you might have heard of. If you have any additional questions, you’ll find more than 50 answers in our FAQ section. Also, we’re always happy to help you – feel free to contact us at [email protected]!